Take a look at these great action-packed shots from Derby Arena, showing the venue's transition from sporting space to concert venue. Twelve mobile retractable seating units are brought out with minimal strain on the operators thanks to power trucks, which assist in both the opening and moving of the units. Meanwhile, flexible flat floor seating is provided by stacking "Venue" chairs. Linkable left-to-right as well as back-to-front, the chairs also double as banqueting seats and are easily stacked and stored on custom made trolleys. Designed by FaulknerBrowns Architects, Derby Arena houses the first velodrome built in England since the 2012 Olympics, as well as twelve badminton courts, a gym and a sports hall. 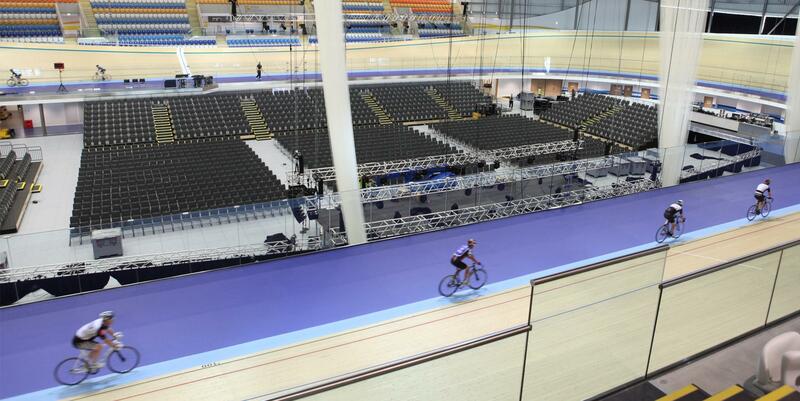 The striking venue can hold up to 5,000 spectators for either sporting or non-sporting events, including exhibitions and conferences.